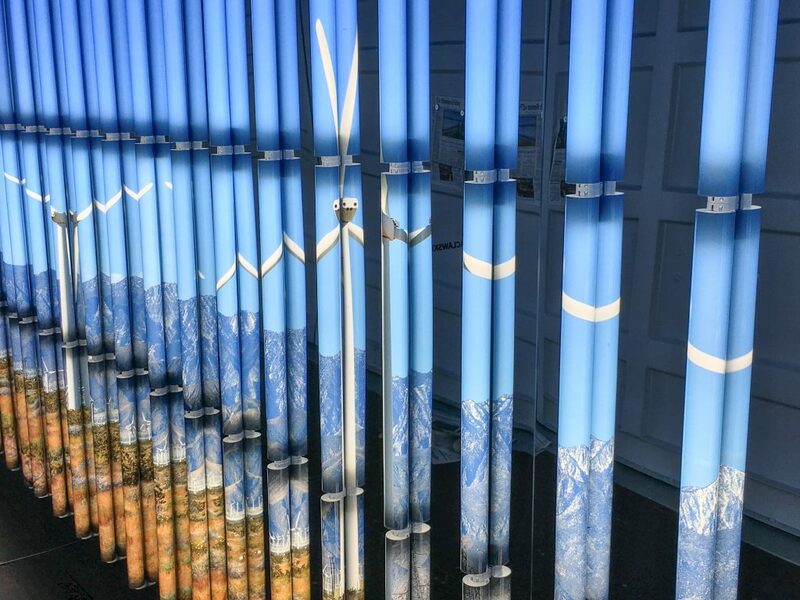 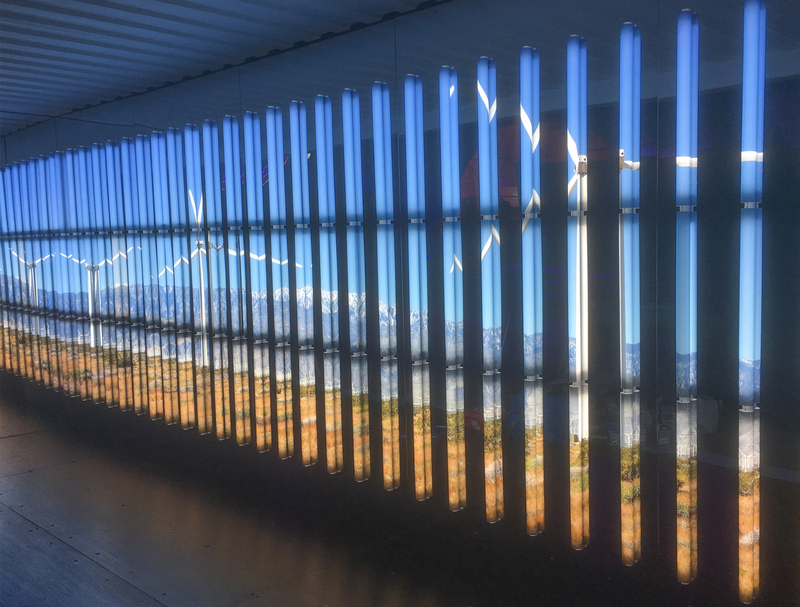 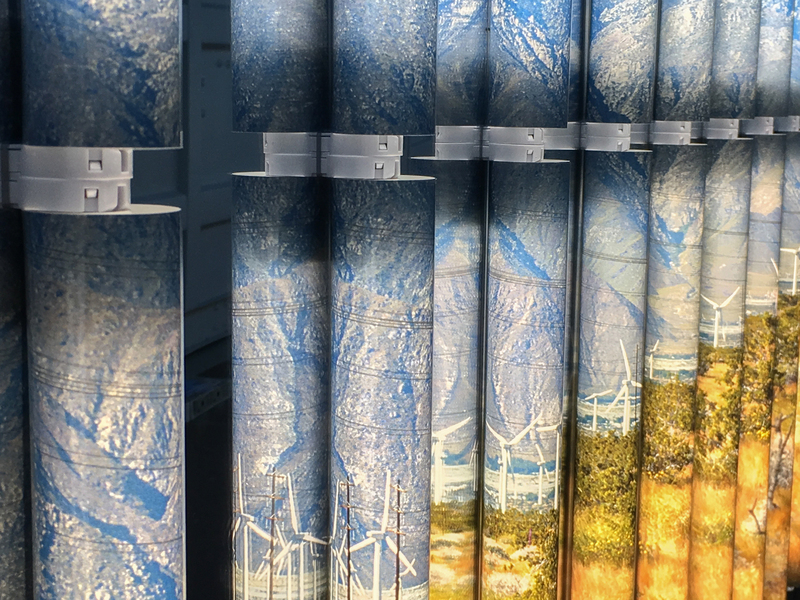 ‘Zephyr’ was finished and displayed in the fall as artist Baclawski describes, “The piece depicts one of the vast California wind turbine fields in the Coachella Valley and was a site-related piece.” The work was originally featured within a shipping container where an unassuming visitor enters unaware of the bright and colorful work that sits inside. 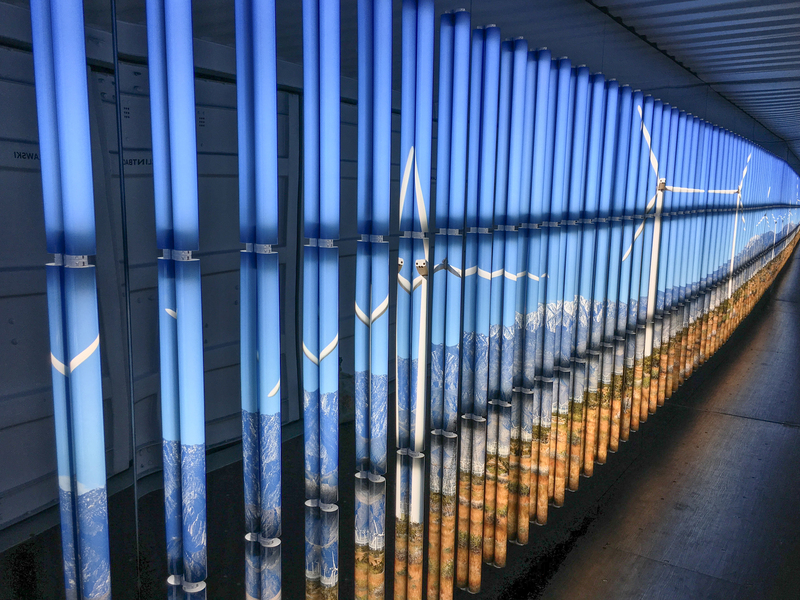 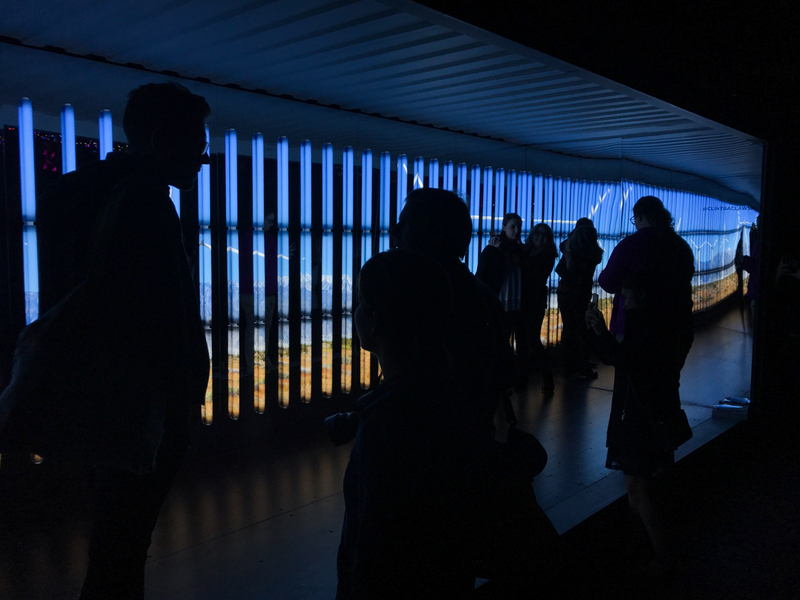 The LED tubes have the ability to transform photography into a three-dimensional medium where photos are further manipulated by a viewer’s movement. 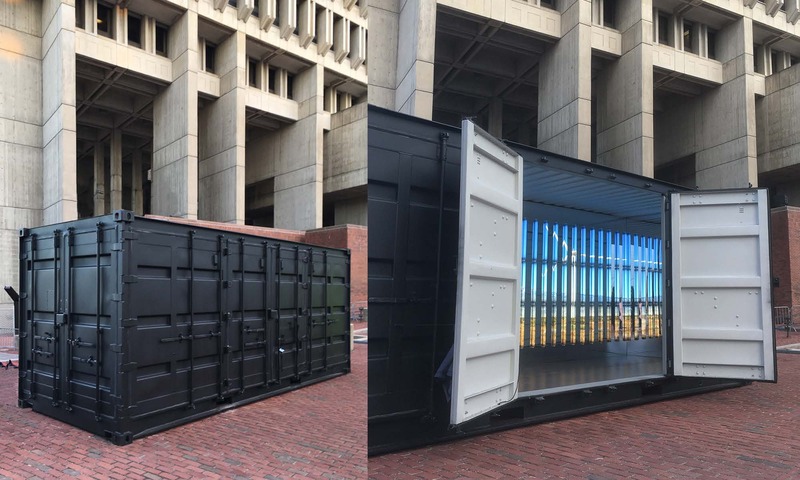 ‘Zephyr’ is now on view outside of the shipping container installation at BostonArt Inc. in the Design and Innovation Center in Boston’s Seaport area.